Eating Ice-cream, watching movies and saving the planet? My life is hard sometimes. 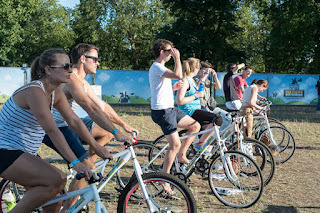 This was Ben & Jerry's ice-cream pop-up outdoor movie theatre and fun games parlor at Clapham Common over the weekend. I was lucky enough to go on one of London's sunniest days, just look at that lovely blue sky! And how appropriate to go and see "Little Miss Sunshine." Eat as much ice-cream as you like, lounge about in deck chairs or grassy sofas (yes really). Face painting, coconut shy, all the things that go with a summer fun fair. 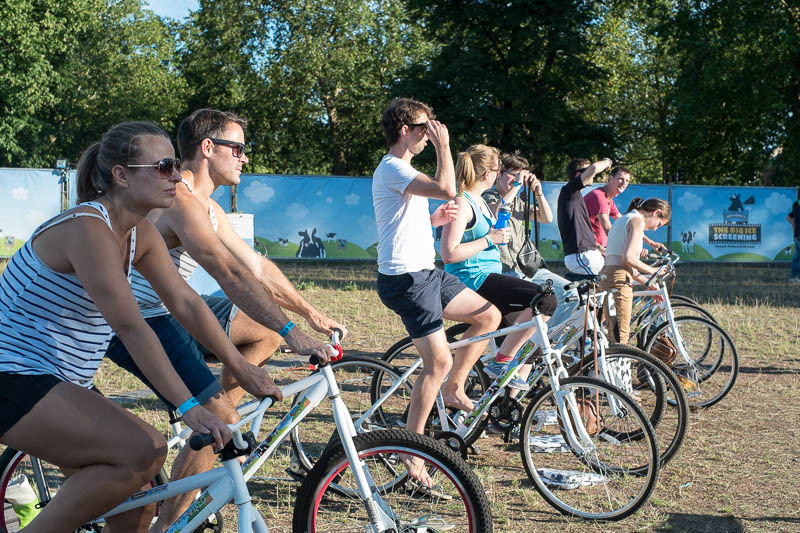 We could all feel good about the event knowing all those cyclists weren't just fitness freaks, their pedalling was actually proving the power for the event. Yup, I jest not, how cool is that! Underlying all of this however, is a serious message. This year is a critical year for climate change. At the UN climate change conference to be held in Paris later this year, world leaders will finalise a global climate agreement. 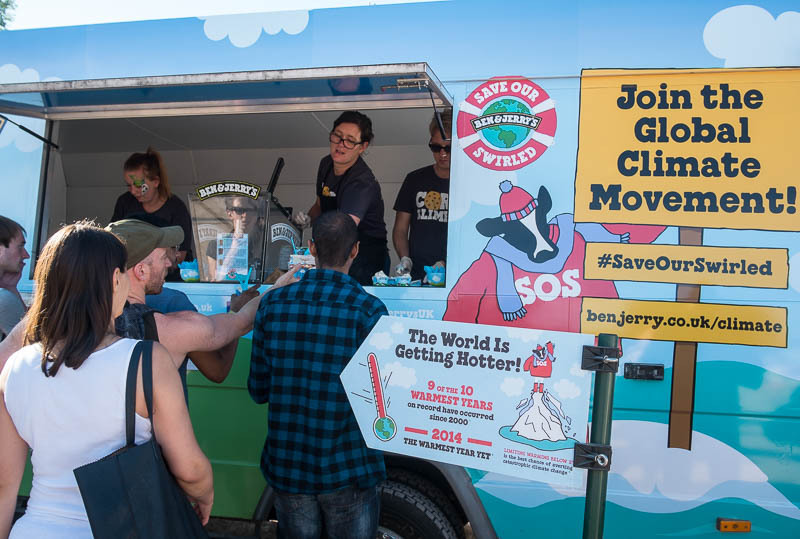 Ben & Jerry have a goal to encourage 500,000 "ice-cream fans" around the world to join the climate justice movement, and put pressure on global leaders to take action on climate change. Wow, tasty ice cream and an important cause at the same time. Excellent. 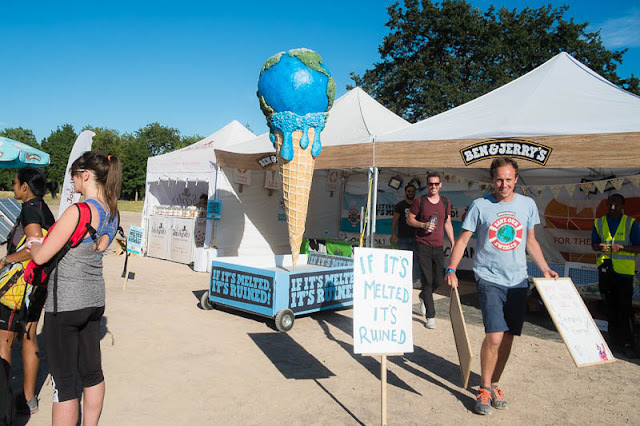 Have Ice-cream & save the planet - I'll be in that!! 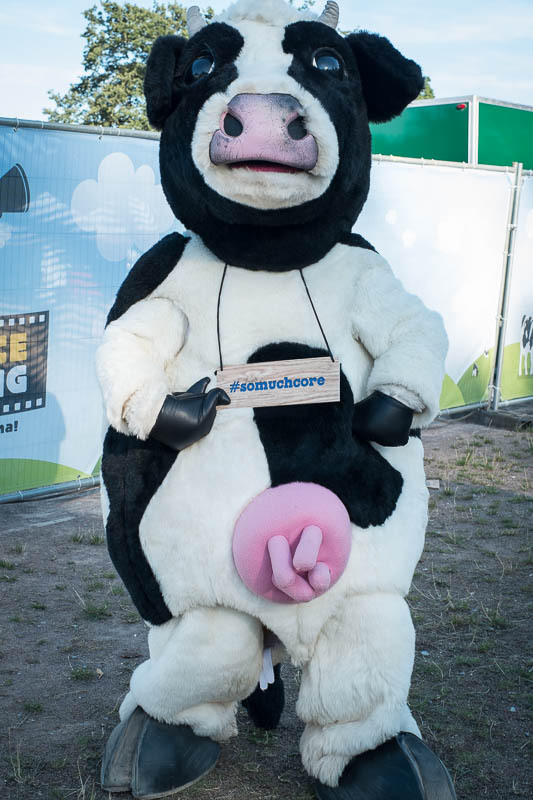 I laugh at Ben & Jerry's ability to cast itself as a liberal's darling. Maybe it was when it was a small company in rural Vermont. Now it is a subsidiary of Unilever. Unilever!